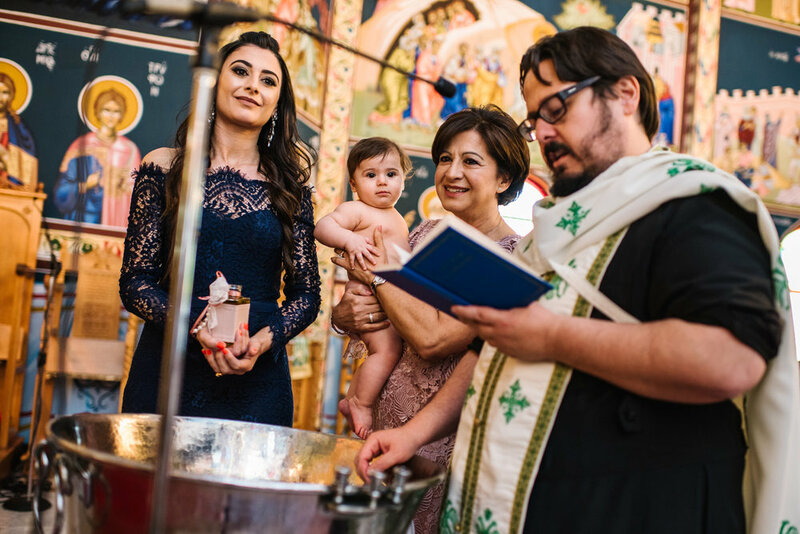 Little Anastasia had a fun filled Christening, surrounded by loving family and friends. 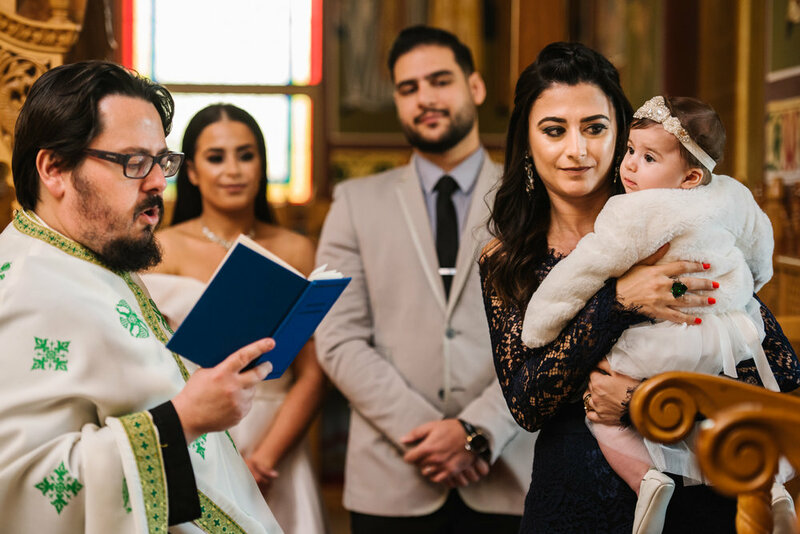 The beautiful service was held at St. Catherine's Greek Orthodox Church in Mascot, NSW. The paintings and colours in this church are really amazing and photograph very well. 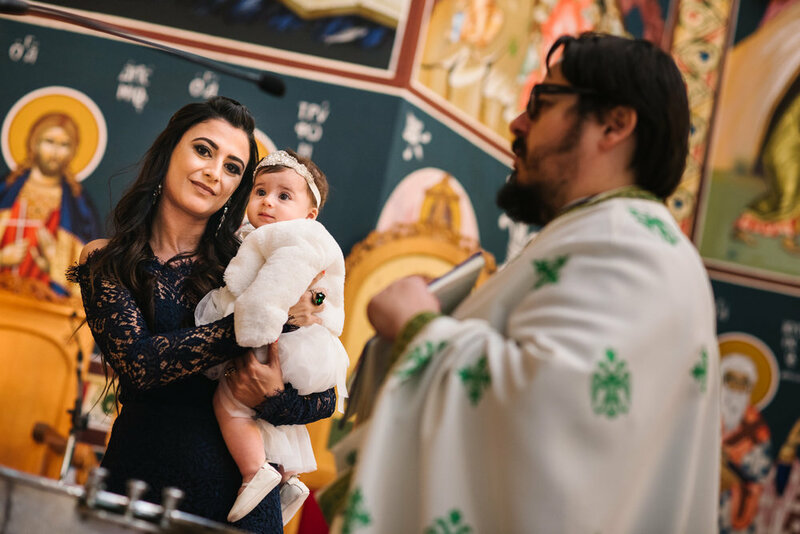 Anastasia's parents chose some lovely outfits for her as well! 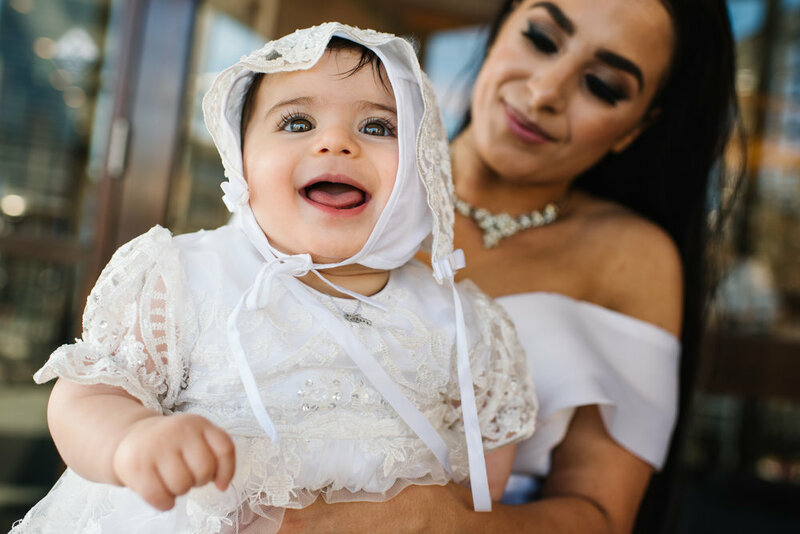 Her christening gown was simply beautiful. The classy reception was held at Dockside in Cockle Bay Wharf. Complete with a floral cake backdrop, a metallic gold embossed cake, and that stunning Darling harbour view, it was a lovely reception enjoyed by all!